Happy Monday! How was everyone’s weekend? Mine was super busy, 2 runs (one was soooooo long), family round, baking, tidying….and all the rest! This bento is from last weeks lot. I made chicken salad for my Dad 🙂 this is where bentos come in useful: Dad is only able to take 1 lunchbox in his bag (there’s no room for more! ), and he wanted salad! Sooooo, we pack the bento to separate the foods according to mixability (that is obviously a word). 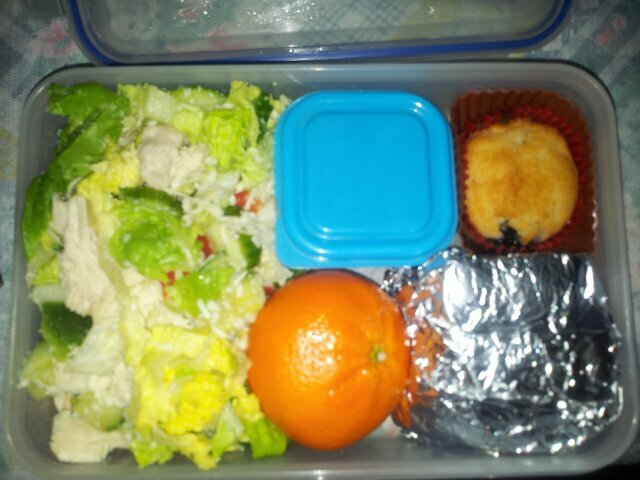 In this bento I have packed chicken salad with grated cheese (no dressing), unsalted nuts and a satsuma, malt loaf and a homemade blueberry yogurt muffin. 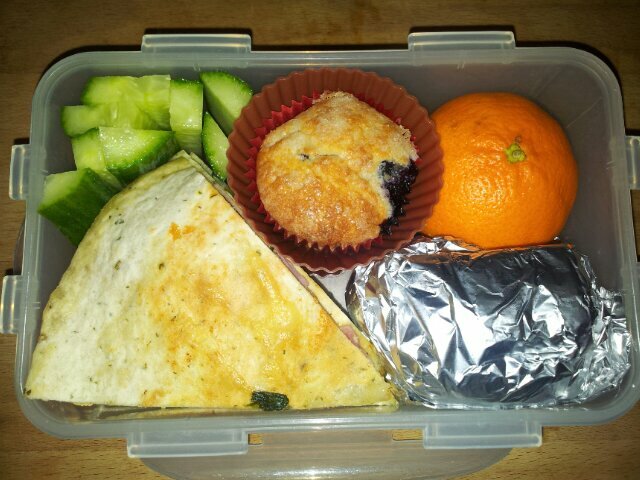 Ive packed it so that the muffin is well away from the salad to stop it from getting cheesy!! How are your lent ‘resolutions’ going? 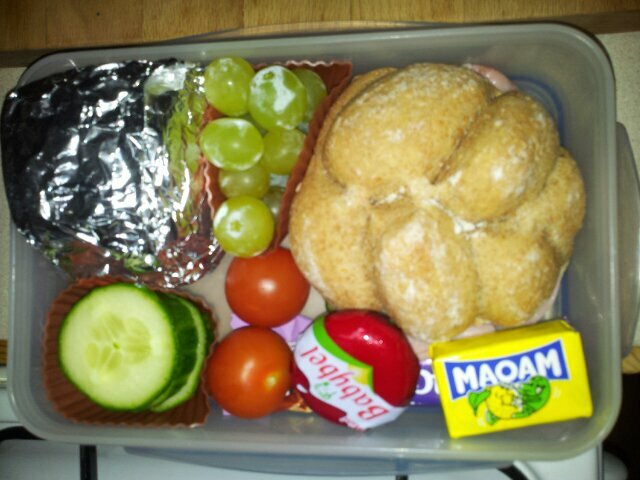 Best ever bento maker time (or that’s what my brother said after I made him a similar bento to my dads one below! Talking of muffins, guess what starts today? Lent. Pancake day was awesome yesterday but today I am beginning the 6 week journey of lent. I promise (both to yourselves and myself) that I will stick to my lent challenge as much as I possibly can. I pledge to give up processed sugar for lent; first the easy stuff like sweets and chocolate, but this includes white carbs and added sugar. I have one get out clause – I will still fuel my runs with a small amount of jelly beans and energy drink but at no other time shall I eat those gorgeous jelly sweets.